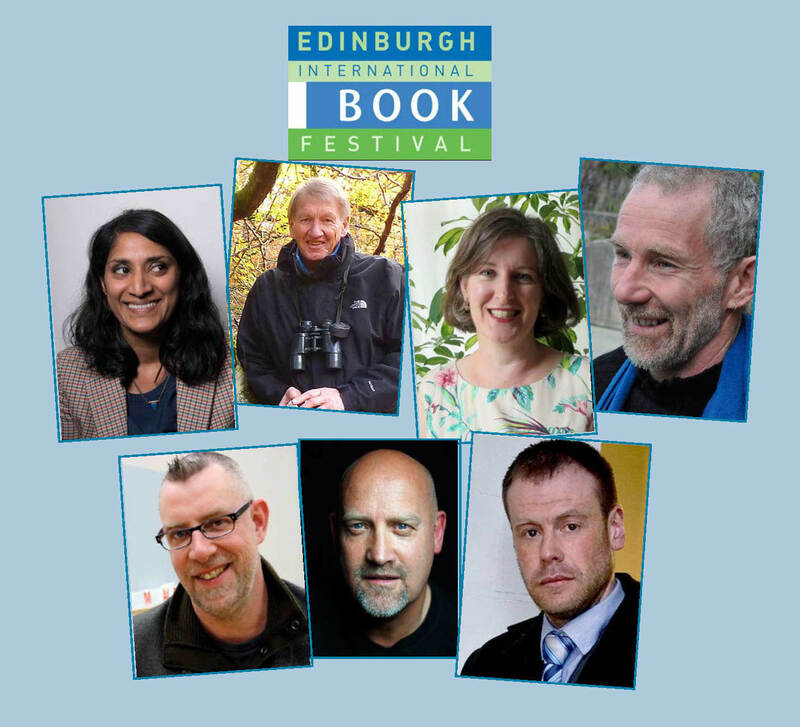 A magnificent seven Saraband and Contraband authors will be appearing at this year’s Edinburgh International Book Festival, which runs from Saturday 13 August to Monday 29 August in Charlotte Square Gardens in the heart of Edinburgh. Our authors will be discussing everything from pregnancy to PTSD, from noir to nature writing, so there’s certainly something for everyone. Just click on the event title to buy tickets direct from the EIBF website. Victoria Hendry, author of The Last Tour of Archie Forbes, will be talking PTSD and compassion in society in The Realities of Conflict. Sunday 14 August, 12.15pm. Neil Broadfoot, author of All the Devils, and Michael J Malone, author of Bad Samaritan – “two of the genre’s most exciting new talents” – talk Tartan Noir in Prose Like a Sniper’s Bullet. Saturday 20 August, 8.30pm. Ian Stephen, author of the critically acclaimed A Book of Death and Fish, joins Mehreen Fatima, Kate Leiper and Shazea Quraishi to present the results of an extraordinary arts project in Trading Stories: Scotland and Pakistan. Sunday 21 August, 2.15pm. Ian Stephen discusses his new poetry collection, Maritime, alongside fellow poet Jim Carruth in His Quiet Words Fall Like Snow. Monday 22 August, 3.30pm. Jim Crumley, author of The Nature of Autumn, talks nature writing with Stephen Moss in Taking a Literary Trip Outside. Monday 22 August, 8.45pm. Graeme Macrae Burnet, author of the ingenious thriller His Bloody Project, discusses Nordic-style noir with Cecilia Ekbäck in Mysteries Under the Northern Lights. Tuesday 23 August, 2pm. Chitra Ramaswamy, author of Expecting, joins Eula Biss and Gavin Francis to explore the topic of pregnancy in The Extraordinary From the Ordinary. Wednesday 24 August, 2pm.